Chasing your dream job is an all-consuming process. Unless you’re adopting the ‘wing and a prayer’ strategy (ill-advised! ), you may have poured every ounce of your spare time into perfecting your application. You’ve drafted and re-drafted your cv, critiqued and tweaked your cover letter, updated your LinkedIn profile and engaged in extensive research into your prospective employer. You’ve probably visualised yourself in the role, rehearsed responses to likely interview questions, and maybe even afforded yourself the luxury of mentally spending the salary that goes with the job in question. Application submitted, it can feel as if your fate is in the lap of the Gods (well, at the least the lap of the Human Resources Department), as you ride out the interminable wait for feedback. 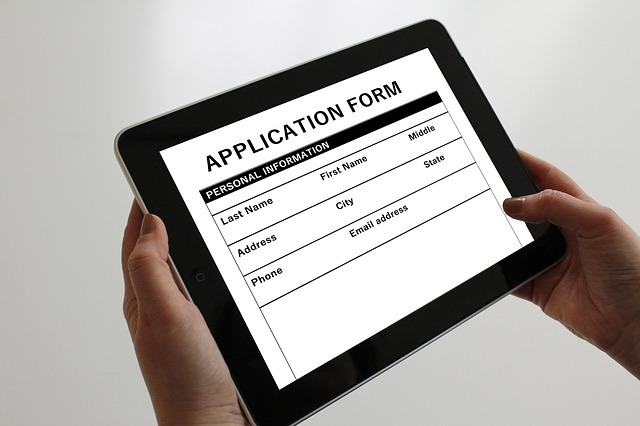 How soon should you follow up on your application? Should you even follow up at all? Does no news mean good news? When does keen and interested morph into desperate and irritating? These are the ultimate questions which even the most composed and steadfast individual struggles to answer when it’s their dream job opportunity riding on it. Ask ten different people any of these questions and you’ll probably get ten different answers! Every company operates differently and every job vacancy will have its own timeline and process. Unfortunately, there is no definitive answer to the question of how soon you should expect to receive a response following initial application, but there are a few things to bear in mind. First and foremost, make sure you read and re-read the job advert (and ideally keep a copy so that you can refer back to it if necessary). There is usually some reference made to how responses are handled, the timeframe in which candidates can expect to hear back, and whether all applicants will receive a reply, or only those shortlisted. In the absence of this kind of information, there may be other clues within the advert. Is there a closing date for applications (in which case it is unlikely – although not impossible – that you will receive a response before that)? Is there any indication of an intended start date for the role (from which you can logically work back mentally to ascertain the hiring process timeline)? In ‘best practice’ terms, the hiring process should be clearly and transparently laid out so that expectations and timelines are managed (and held to). Best practice dictates that all candidates should receive acknowledgement (at the very least) of their application. Unfortunately, best practice isn’t always common practice, leaving candidates to wonder whether their cv has gone astray, fallen on stony ground or has yet to be reviewed under a sea of other hopeful applications. Assuming you’ve received no notifications (check your junk mail, as these can sometimes be sent from automated or generic email addresses), there is no harm in a short, polite and timely email (rather than phone call) requesting clarification that your application has been received. Better still, attach a read receipt to the email before you send it, removing the scope for doubt or concern about the safe delivery of your application. Give them time. You may have applied to an HR or Recruitment function, or you may have applied directly to a hiring manager. Either way, bear in mind that this is one job of many on their to do list. The HR function may have many (in larger organisations this could be hundreds) simultaneous job vacancies to manage, of which this one may not be the highest priority to fill. Equally, the hiring manager may wish he had an HR function to fall back on, but because he doesn’t, he is trying to squeeze this hiring process into an already busy schedule of doing his regular day job. There may be more than one individual involved in the hiring process and the wheels turn more slowly as a result. Assuming you’ve waited and sensible and reasonable amount of time and still heard nothing … what next? You know your application was received (because you’ve seen the read receipt, or had confirmation via a brief email exchange), but you’re still none the wiser on the outcome. Whether you choose to follow up by phone or by email, keep it brief, with a focus only on establishing a likely timeframe for feedback. In the event that the recruiter has yet to review your CV, your contact should serve as an un-pressurised memory jog, but do not fall into the trap of hijacking their time to real off every reason why you are the best person for the job. Let your cv do the talking – you’ve fine-tuned it for that exact purpose – and hold back for the interview to expand upon it. And what of post-interview follow up? By this stage you will have started to build a relationship with the recruiting manager and will hopefully be better placed to gauge their preferred style of communication. You’ll hopefully have been informed at interview what the next steps will be, as well as the timescales for feedback. With a clear line in the sand drawn, and a relationship established, you can more easily and confidently pick up the phone or send an email to request feedback if deadlines are exceeded (but not before). It never hurts, though, to send a thank you note or email immediately post interview, expressing your gratitude for the opportunity to meet, and your continued interest in the role, perhaps with a neatly packaged one liner reminding them of why you are the best fit for this role. Waiting on much anticipated news can be excruciating and it can test our patience to the limit. It’s like experiencing exam results day all over again, except you’re living it every single day until you hear that long-awaited email alert with the news you’ve been waiting for. Playing it cool – but not too cool; keen – but not too keen; efficient – but not over efficient. It’s emotionally exhausting! Nobody has the exact formula, because every job application process is different, and every hiring manager is different – they are individuals after all. It helps – we hope – to understand the process from the recruiter’s perspective.